Offering you a complete choice of products which include ptfe rod dia 3 mm and ptfe rod dia 4 mm. Advanced Fluro Tubes is manufacture and supplier of PTFE Rod Dia 3 mm. PTFE Rod Dia 3 mm is used to manufacture small PTFE components typically used in electrical and electronic applications. 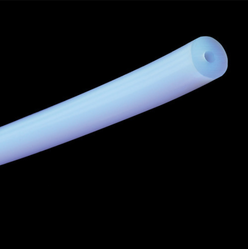 Advanced Fluro Tubes is manufacture and supplier of PTFE Rod Dia 4 mm. PTFE Rod Dia 4 mm is used to manufacture small PTFE components typically used in electrical and electronic applications.